Justin Bieber arrived in Berlin, Germany on Monday, ahead of promoting his smash hit single “What Do You Mean?” on Tuesday, which is now charting at No.3 on Billboard’s Hot 100. He’s also booked to feature as a guest on NRJ Radio France in Paris on Wednesday. After flying into the country, the now platinum-coiffed superstar was spotted at a skate park, grabbing a bite to eat at a pizza joint, sightseeing in the city, and even praying and posing for photos in a wood. But, before any of that happened, Justin had a minor run in with a persistent and rude paparazzi, who invaded his personal space and tried to film him as he hid in the back seat of a car. Scroll down for the video. Watch video below: Justin covers up his face following a long flight to Germany. 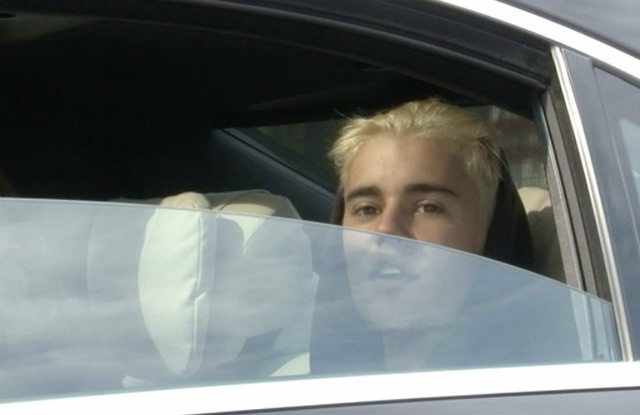 A paparazzo approaches his car to film him anyway, so Justin opens up his car door and whacks the photographer. Later, the pap catches up to Justin in traffic. According to the Twitter account of paparazzi company, Stupid Famous People, who later posted video footage, Justin “hit the guy with his car door,” when the paparazzo came right up to the window to film the hunched over him. 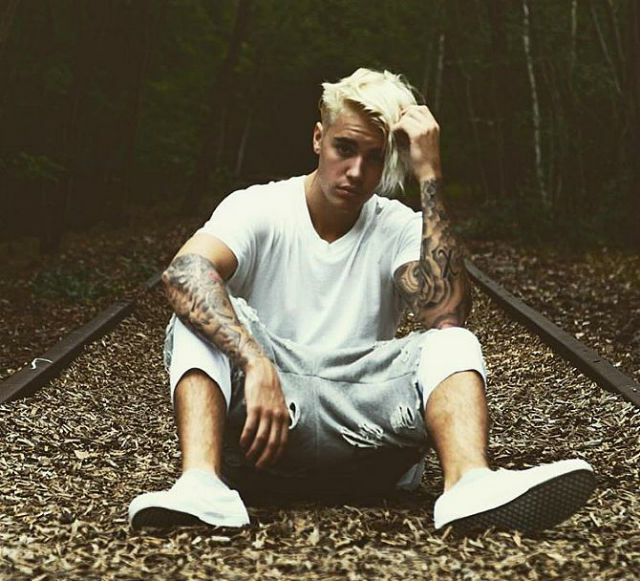 Justin took to Twitter early Monday, writing, “Hello Germany,” and including a link to a non-captioned selfie showing him sitting in between what appears to be overgrown train tracks covered with autumnal leaves.